Happy Monday! Hope everyone had a great weekend! Cannot believe that this week is the last week of December! 2014 is right around the corner! This vest has been frequent that past few weeks! It keeps me warm and so easy to layer! 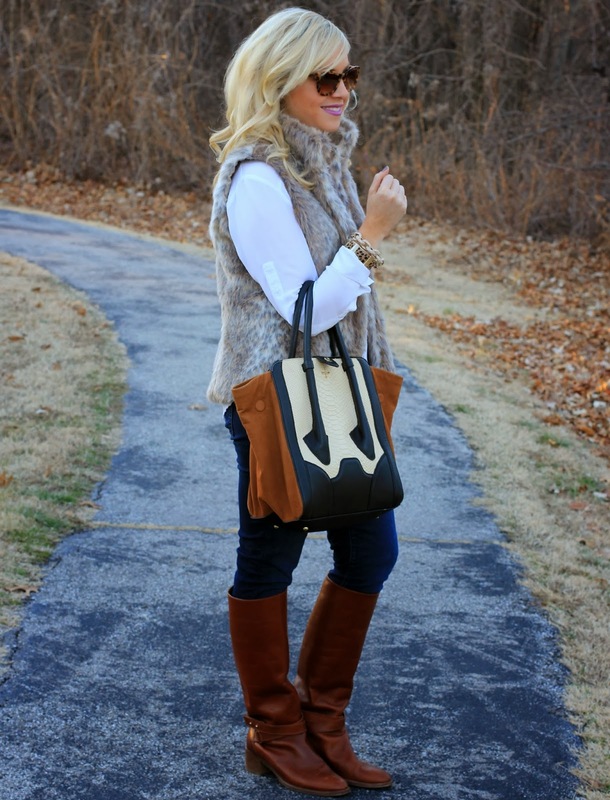 Loving that vest and the bag! 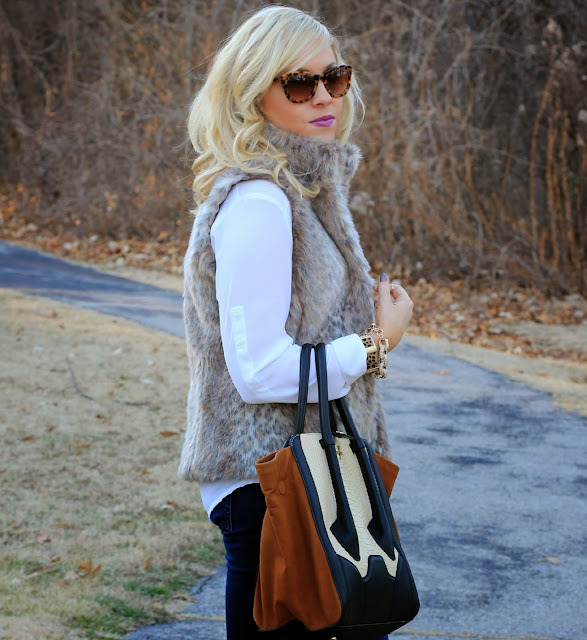 I love how you styled your vest here, fur is one of my favorite things this year. 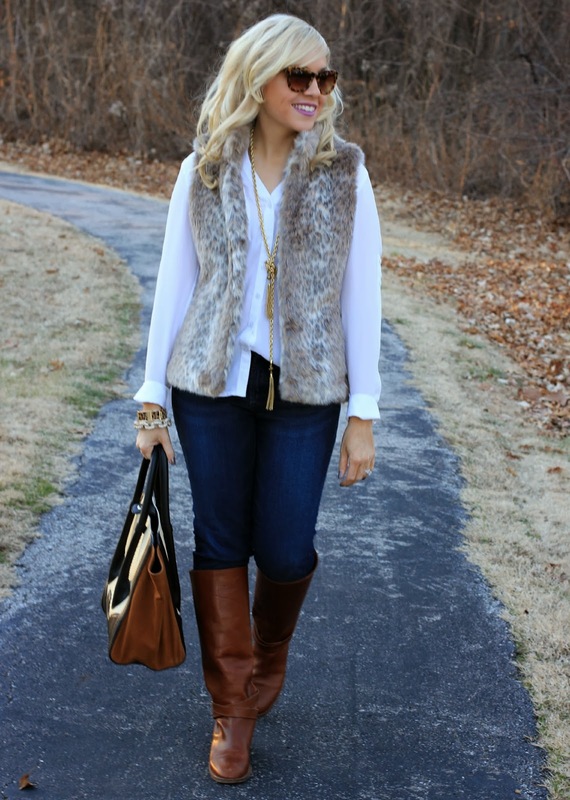 I love how the vest looks styled with the gold tassel necklace...so gorgeous! 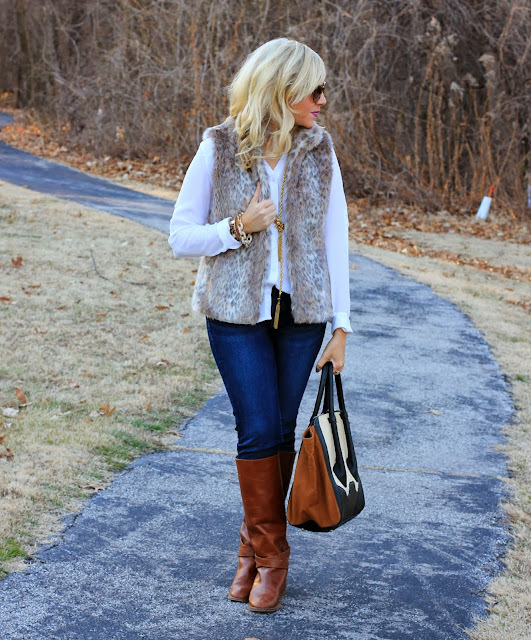 Gorgeous vest, doll! Love it on you. Happy almost 2014! 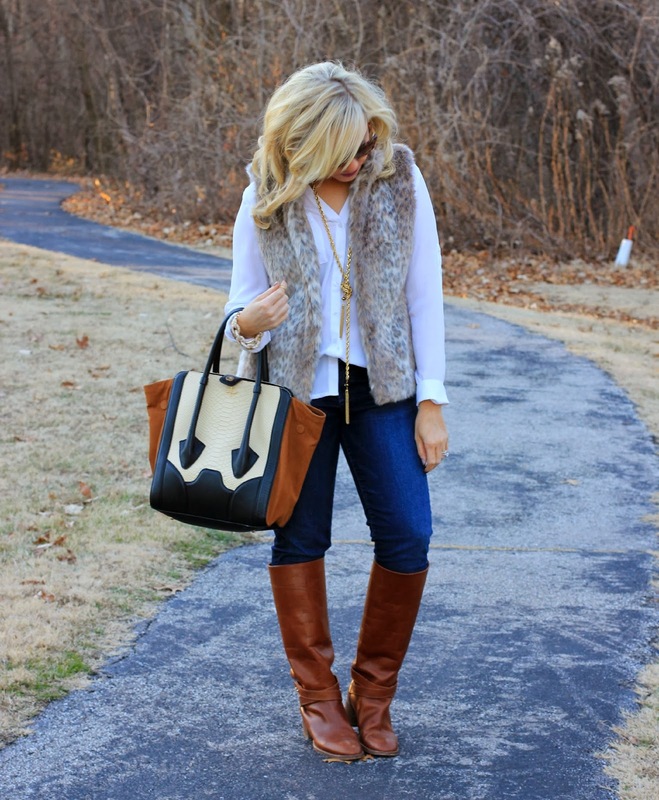 The vest is gorgeous-- your entire outfit is so well put together. Hope you have a wonderful New Year's Eve/New Year's Day! I wore something so similar to this about a week ago, only mine was with leather leggings! Same Express top and Brina Box necklace, too! Great minds think alike :). Have a great new years!! Gorgeous look! Almost bought that bag too! Now having regrets! That vest is fabulous!! I love it. I am kind of obsessed with fur right now. You look gorgeous!! Happy New Year! Love your look. I've been seeing that bag at Saks off 5th, it's so pretty! That vest is adorable! Love it! Cute cute cute! 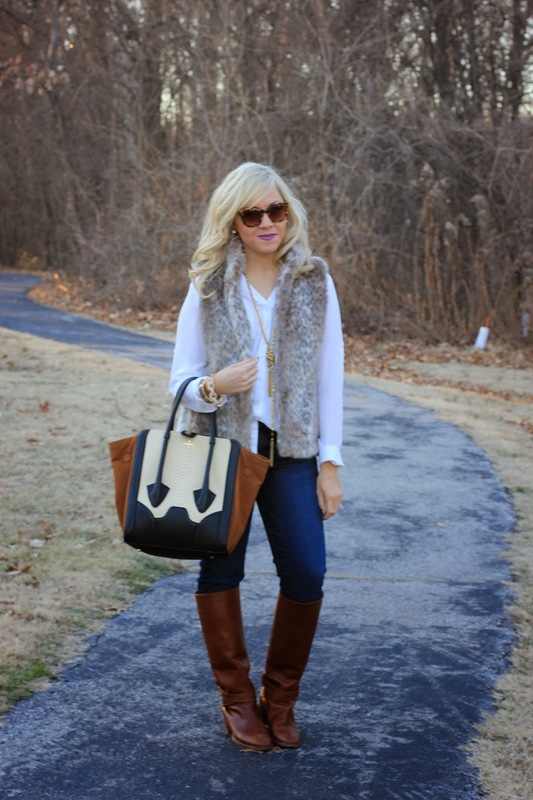 Love the purse and fur!! I love your vest and that awesome bag. That vest..omg...I'm in love! It has so many styling options and it looks great dressed down with jeans.